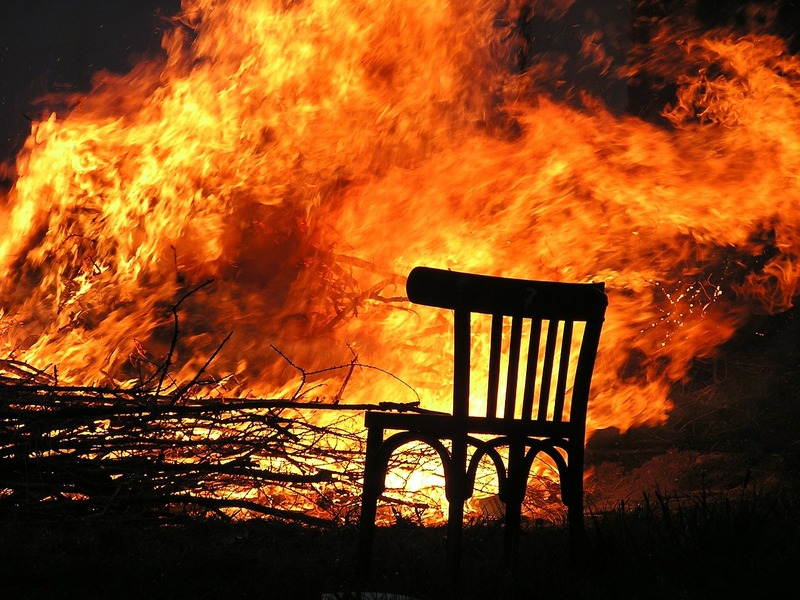 Housefires can be devastating, and in 2015 alone there were over 360,000 of them around the U.S. For families with small children and elderly loved ones, the idea of flames destroying a home is terrifying. For households with people with disabilities, the threat is even scarier. When a friend of mine survived a car accident last year and became wheelchair-bound, her physical limitations led to friends and family uniting to help make her home more accessible and safe. We thought we’d worked it all out until the day her kerosene heater got knocked over and started a fire in the living room. In an instant, it became clear that although we had made her living situation easier, we hadn’t counted on accidents, and those are often the worst kinds of danger. Fortunately, there are things you can do to protect your home–and your loved ones–from the danger of fire. It’s important to educate everyone in the home about fire safety, particularly if you live in a dry, hot area, and make sure they are all aware of an emergency plan: how to escape, where to meet, and how to stay safe while doing it. Always keep matches, lighters, and flammable objects away from children and teach them about the dangers of “playing” with such items. Talking about fire safety is crucial to prevention. Here are a few of the best tips on how to keep your home flame-free. Any type of heating within the home needs to be checked regularly, whether it’s a gas-fueled furnace or a kerosene heater. Fireplaces should be cleaned often, including the chimney. Electric floor heaters should have cords in perfect condition and should be kept away from curtains and thick carpeting. Never leave a kerosene heater or gas lamp going during the night. Don’t neglect electrical outlets or allow them to become overloaded. If your home is older than ten years, it’s a good idea to have the electric wiring checked by a professional. Never place cords or surge protectors under rugs or furniture. Check smoke alarms and carbon monoxide detectors every six months to ensure the batteries are in good working order. Make sure there is an alarm in every bedroom and in the kitchen and any garage space, along with fire extinguishers. Never leave stovetop items unattended, especially if you have a gas range with an open flame. Turn the handles of pots and pans away from the walkway so that they can’t be accidentally knocked off the stove. Keep the stove clean at all times and de-grease often. It’s crucial to have a plan on what to do in case of emergency and share it with your family, making sure everyone knows the safest way to escape in the event of a fire, where to meet if the family is separated, and who to call. When it comes to family members with disabilities, the plan is going to have to take these disabilities into account. It may change depending on what the disability is. Be sure to read through The National Fire Protection Association’s guide to escape plans for people with disabilities, which offers tips covering the five general categories of disabilities (mobility, visual, hearing, speech, and cognitive) as well as what it describes as the “four elements of evacuation information that occupants need,” which include notification, way finding, use of the way, and assistance. Remember that fire safety begins at home. Teaching your family about the best ways to protect themselves from fire will not only give you peace of mind, it may come in handy someday. In addition to saving lives, it can save a lot of headaches. As I can attest, even a fire that claims no casualties can leave quite a mess to clean up.